We are specialists in the construction of complex engineered control structures, spill ways, retention ponds, bridges, and all form of drainage works. With a background in private and public engineered projects, we excel in quality and time tested engineering solutions. Nestled in the foothills west of Bragg Creek is a constructed lake with a 12 meter high dam, spillway/control structure, and emergency spillway. 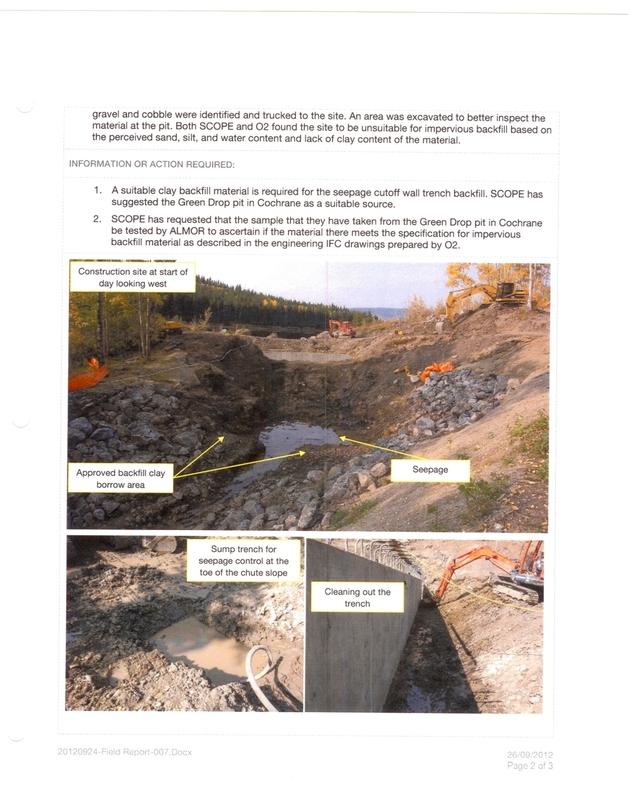 During routine inspections, it was discovered that the 50 year old wooden spillway was failing and causing increased nutrient loading downstream. SCOPE was retained to project manage the design for a new larger concrete replacement and obtain the necessary approvals from Alberta Environment. With the approvals in place SCOPE under took the complicated construction in fall, winter and spring conditions. Pre-construction tasks involved design of a syphon system to ensure minimum flow, while a dam blocking the flow was put in place. A large spring uncovered in the constructed area was redirected downstream to assist in maintaining flow in Iron Creek. 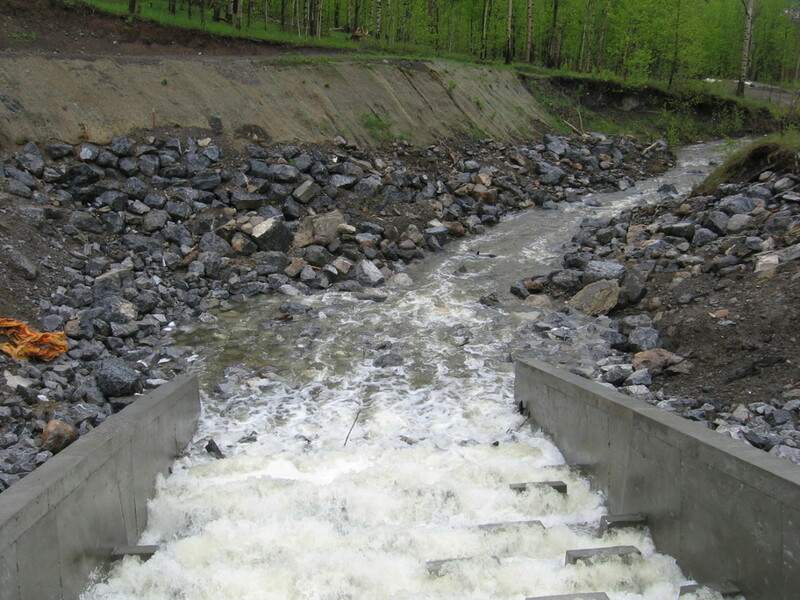 With the concrete work completed, SCOPE was in the process of completing the channeling and armoring in front and downstream, and modifying the emergency spillway, when the region was subjected to a 100 year flood event. A combination of circumstances resulted in portions of the lower end of the 100 cubic meter concrete structure being under mined by the raging floodwaters. Immediate steps were taken to secure the structure and pressure fill the void with a custom liquid slurry. Lessons from watching the flood were used to make modifications to the emergency spillway, top of the dam, entrance way, stop log level control structure and downstream rip rap. The completed project is operating in accordance with the modifications and has received the necessary engineering and government inspections and approvals. 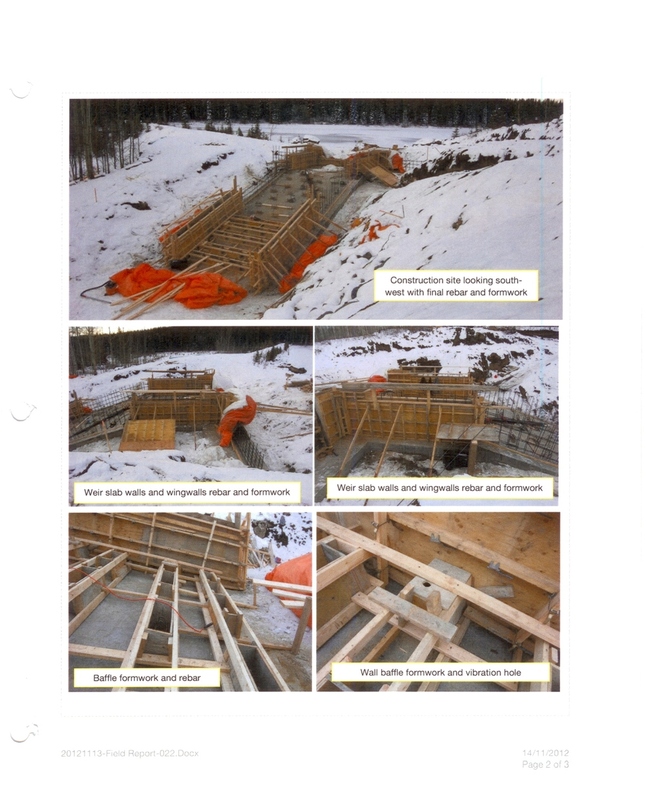 As part of a subdivision road construction project SCOPE, was asked to conduct the necessary design and permit requirements for the construction of a secondary highway bridge across Bragg Creek. The structure would link a planned second phase of the subdivision. Environmental considerations required a clear span of 14 meters and frozen winter construction conditions. The final engineering design completed by a structural engineering group involved the placement of seven 16 meter long 5000 pound steel I beams on 4 meter deep concrete lego block abutments. The road surface and railings were constructed with special order dimensional treated wood products. The completed structure met the stringent standards set by the County of RockyView, Alberta Environment and Alberta Lands. Through a tender process, SCOPE was awarded the construction contract of a 32 hectre site to reclaim an existing class II wetland adjacent to Ralph Klein Park. Working with 02 planning and design we were responsible for the entire construction and maintenance of the site. Upon completion the wetland surpassed all design expectations and was reclassified to Class4/5 category. A unique construction project that included complex earthworks and shaping, over 300,000m2 of various seed and plug plantings, and an overland control structureto create a usable recharge area for water shed coming off of the existing crop land and future cemetery site.